Building badlinks is one of the ways in which your business can be jeopardized reputation wise. Someone might build bad links directed to your website. For instance, if you an adult or gambling website links back to you and the direction has been given by your competitor by shelling out thousands of Benjamins, the ranking of your website could nosedive. This is an instance, when the robots.txt file is altered by a hacker. Your website is hacked; the hacker will block Google, insert bad and spam content to your web pages. Also, the links will be manipulated adversely to harm your online reputation. If a visitor feels that the content that you have updated on your website is irrelevant, inconsistent or wrong, he might report non compliance of webmaster guidelines to Google by generating spam reports that go against your reputation. How to fix negative SEO attacks? 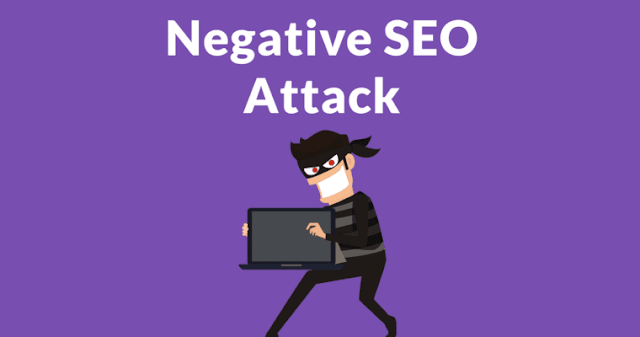 There are 2 ways in which you can find out that you have been subjected to negative SEO attacks. You will find a notice in Google Webmaster Tools for malware notification or you might be warned for unnatural link building. The other way is from your analytics data that will indicate remarkable reduction in search traffic. First of all make sure you have plugged all the security holes that allowed hackers to invade. Opt for a good hosting company that is reliable and one that adheres strictly to security commitments and agreements. Make sure you check your linking habits to ensure that you are not linking to any unwanted spam websites that will jeopardize your reputation and brand image. You must also double check to find out if your content is irrelevant and not using words that are prohibited or related to adult and gambling industry. You can hire the services of a professional service provider to ward off the negative effects of SEO attack. Make use of Open Site Explorer to find out the websites that link back to your website. Alternatively, you can also use service Ahrefs. As far as spam reports are concerned, there is an advantage and that is search engines tend to ignore them because they have been mostly associated with black hat SEO so they are considered tools for manipulating rival website rankings. The most crucial part is if you have offended Google webmaster’s guidelines. Make sure you stay away from breaking any norms while your website optimization is underway. Last but not the least, you have to worry only if you are adopting or turning to black hat SEO tricks that take your website to nowhere. Operate ethically and chances are that you don’t have to worry about your online reputation as long as you are keeping a check on your analytics.